Organ donation could soon be "opt out" following a consultation on "presumed consent", the Department of Health has confirmed. Prime Minister Theresa May mentioned in her address at the Conservative Party conference that the system is to be changed to "shift the balance of presumption in favour of organ donations". Currently for anyone to be considered for organ donation they need to have registered with NHS Blood and Transplant (NHSBT). Under future proposals, unless someone has explicitly objected to becoming a donor in the past, they will be assumed to have given consent. The measure would potentially save thousands of lives. If a family member is aware of the deceased's objections then these can still be asserted when a decision is being made over organ donation. "Our ability to help people who need transplants is limited by the number of organ donors that come forward," the Prime Minister said. "That is why last year 500 people died because a suitable organ was not available. And there are 6,500 on the transplant list today." The proposed amendments have been well received by health officials and charities. The British Medical Association is calling the announcement "excellent news", saying it has the potential to save many lives. Simon Gillespie chief executive at the British Heart Foundation says the change "can't come soon enough for patients". He said: "The Government's commitment to a soft opt-out system is a commitment to ending the agonising pain felt by families who risk losing a loved one while they wait for a donor". 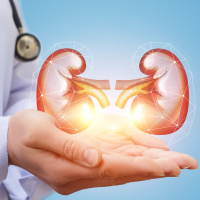 Kidney transplant patients make up around 90% of the register, Peter Storey, director of communications at Kidney Research UK says, adding around 3,000 transplants are carried out each year. "We believe much more needs to be done to improve organ donation rates across the UK and a soft system of presumed consent for organ donation would help combat the severe shortage of donors in this country," he said. Those who have had an organ transplant or any other existing health problems are reminded of the importance of pre-existing medical travel insurance.